Aren’t we all looking for a great snack that’s healthy, tastes good and is not a lot of hassle to pull together? For me, these two recipes fit the bill! I love energy bites. They are easily made in advance of a busy week, travel easily and have a nice blend of fats, carbs and proteins to satisfy your cravings. 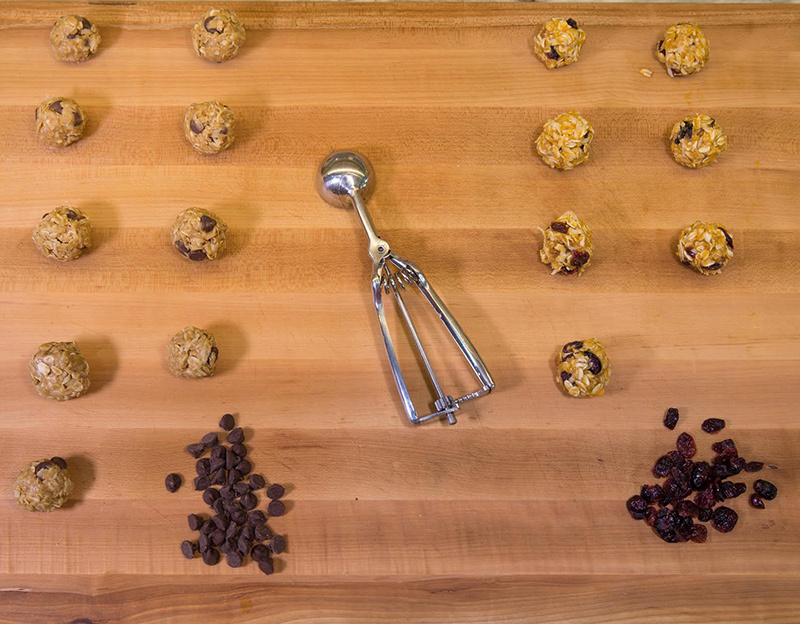 Here are two recipes for energy bites that you can add into your rotation. This recipe satisfies that craving for something sweet and gives a nice little boost of energy in that afternoon energy slump. Combine all ingredients. Refrigerate for 30 minutes to make mixture easier to handle. Form into 1 inch balls. Store in refrigerator. This version is a great option for those who have a nut allergy or want to sneak in a few vegetables. The sweet potato adds some sweetness and a nice punch of vitamins and minerals. If you find your mixture isn’t forming together well, add some more honey or nut butter (or sweet potato to the mixture). It should be moist and hold together fairly well before placing it in the refrigerator.